Born: 28 May 1871, Pretoria, South Africa. Arthur M.A. Struben, eldest son of Hendrik W. Struben and his wife Mary L. Cole, was at first educated privately in Durban. He then attended a high school in Pietermaritzburg and during 1887-1888 studied at the South African College, Cape Town. Proceeding to London he studied at the Crystal Palace Engineering School and University College and worked as an apprentice engineer for the London engineer Sir Douglas Fox and the firm Baldry & Yerburgh. He became an associate member of the (British) Institution of Civil Engineers. On 20 July 1897 he married Catherine E. Bousfield, with whom he had three children. 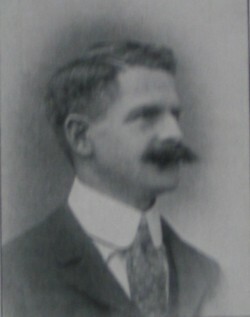 During his early career Struben was engaged on survey and construction work for the Manchester, Sheffield and Lincolnshire railway; railway work at Nottingham and London; in South Africa on the railway at Vryburg and the Mafikeng extension; the Imperial Military Railways and the Central South African Railways in the Transvaal; and construction as part of the Table Bay harbour works. For some time he was an assistant engineer in the Public Works Department of the Cape Colony, working on irrigation projects at, among others, Calitzdorp and the Hartz River. In 1897 he published "Notes on Dr [Alexander] Buchan's discussion of the rainfall of South Africa during the years 1885-1894" in the Report of the Meteorological Commission of the Cape of Good Hope (pp. 15-16), in which he analysed the rainfall maps and classified the colony into seasonal rainfall areas. After the Anglo-Boer War (1899-1902) Struben became consulting hydraulic engineer to the Public Works Department and Irrigation Department of the Transvaal Colony, helped to establish the colony's Hydrographic Survey and Boring Departments and did original investigative work on the ground water of the dolomite areas. He also served as a technical member of the commissions on water supply of Middelburg, Standerton and Mooi River and wrote the Report of the Mooi River Commission, with two appendices and one map (Pretoria, 1906). That same year he published an article on "Some problems in Transvaal irrigation" in the Transvaal Agricultural Journal (Vol. 4(14), pp. 299-307). Later he wrote a short book on Tidal power (London, 1921, 115p), dealing with the tides and their management, the estimation of potential tidal power, and the methods for harnassing it. By 1937 he resided in Pretoria. Struben became a member of the South African Philosophical Society in 1899 and remained a member to 1907. In 1904 he became a member of the South African Association for the Advancement of Science, serving on its council as one of the representatives of Pretoria during 1907-1910. By 1906 he was a member also of the Geological Society of South Africa. His recreational activities included science, invention and outdoor exercises. Cape of Good Hope. Report of the Meteorological Commission, 1897. National Automated Archival Information Retrieval System (NAAIRS). . Documents relating to Struben, Arthur Marius Alexander / Struben, A.M.A. South African Association for the Advancement of Science. Report, 1905/6, 1907, 1908, 1910, 1918: Lists of members and office bearers.